We told you in THIS post that Jeff and I worked really hard and made a lot of life changes to create this new way life for us. You may want to know what those changes are, so here are the things we’ve accomplished in the past year. Yes, it took a YEAR to complete all of this. We aren’t trying to toot our own horns or anything. This is simply us sharing what all it took to get where we are now and let me just tell you it wasn’t all rainbows and unicorns. We made a lot of big life changes in a relatively short period of time which means it was hard. If we can do this, you can do whatever you’re dreaming of doing in life right now too… just put your mind to it, make a plan, and do it. To get all of this accomplished we needed a plan and to get to work. Our plan needed to be visual so that we could see what each of us was currently working on and what was next to get accomplished. We used a Trello board for this which is a project management tool and I don’t think we could have accomplished all of this without it. 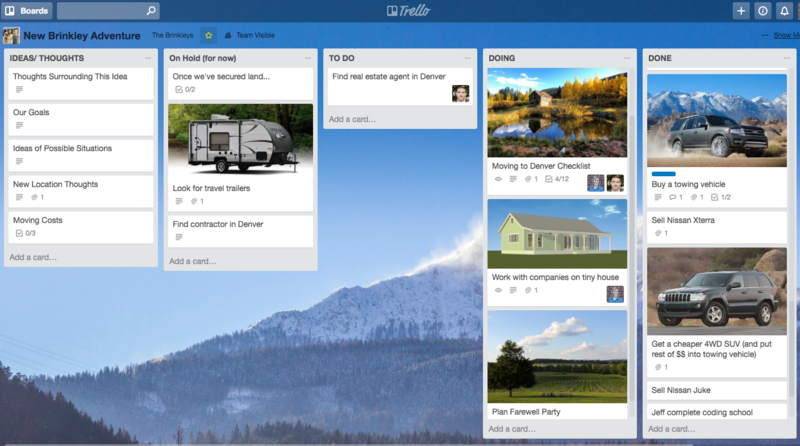 Below is what our Trello board looked like. You add to-do items onto the lists as “cards” and drag them from one position to the next. If you could see our “done” list, you’d be be scrolling down a couple of pages. 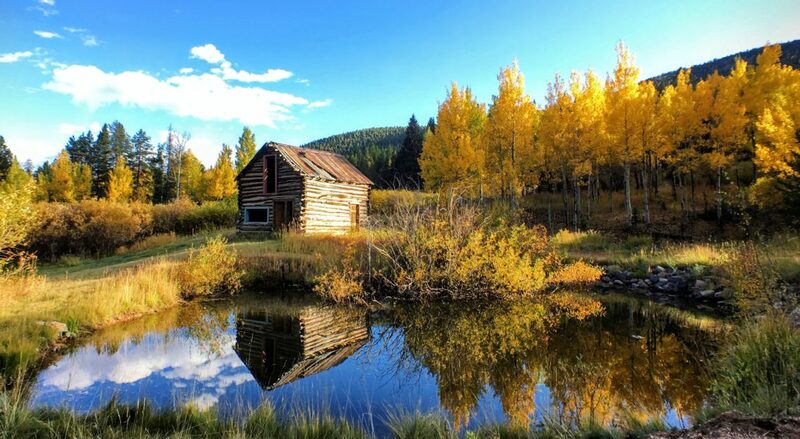 Next up for us is getting settled in Colorado, finding land to purchase, and then building our tiny house/homestead on it. And traveling more of course. Aww thank you Kinta! You’re the sweetest and I’m so thankful for you! So proud of you guys! And so encouraged by your journey!! Keep it up!!! And so is your pup! !